Universal Orlando Resort is a very fun place! 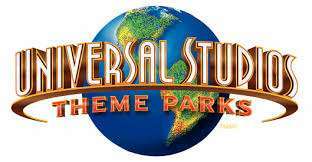 It is made up of Universal Studios, Islands of Adventure, & CityWalk. My article will focus on Universal Studios. I have a lot of favorite rides here! The minions of Despicable Me are so fun & silly. 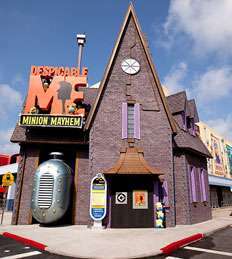 I like the new Despicable Me attraction because you get to feel like a minion. This attraction is a 3D adventure during which you sit in a vehicle which moves with the action on the screen. It’s a fun journey. As you exit, the minions are waiting for a meet-and-greet opportunity. While you’re there, be sure to tell them you have a banana. They will go crazy & chase you down for it. So fun! I also like Shrek 4D. Much along the same line as Despicable Me, this 3D movie has theater seats that move. You will also feel gusts of wind & other surprised to really make you feel like part of the movie. 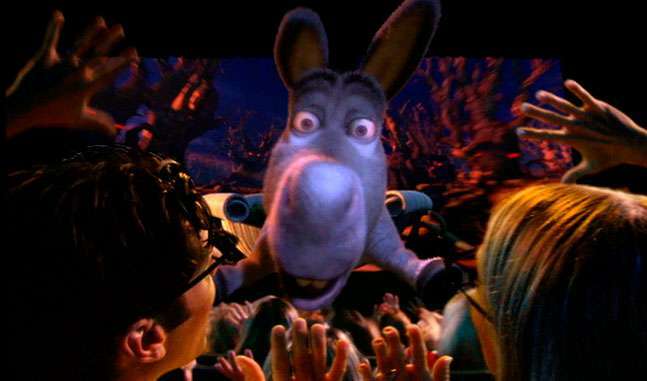 You will go on a thrilling adventure to save Princess Fiona with Shrek & Donkey. Universal Studios has a roller coaster that I really like. 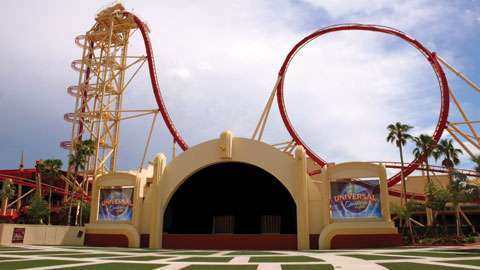 Hollywood Rip Ride Rockit is a high-speed, scary coaster that blasts music in your ears. You begin the ride by choosing your soundtrack. This is because you will be making your own music video as you ride! The ride begins with an ascent up a 180 degree track and then you go through fun loops and turns. As you exit, there are monitors where you can watch your video and purchase it, if you choose. Another fun coaster is Revenge of The Mummy. 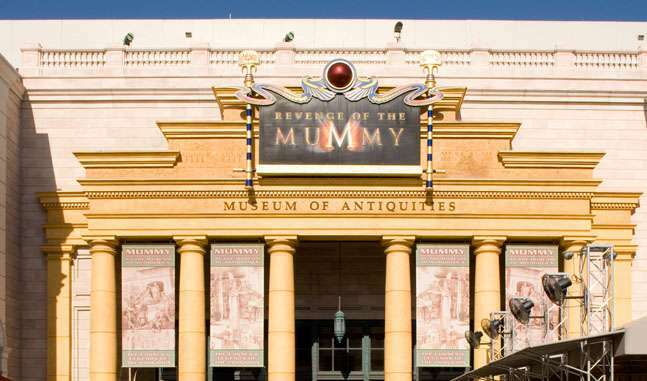 This coaster is themed after The Mummy movies which, if you haven’t seen them, are centered around the curse of Imotep. Taking place inside a pyramid in Egypt, the mummy is brought to life & threatens to destroy life as we know it. The queue is themed so well…it’s a little creepy to me! As the ride begins, we see the mummy come to life & tell us that “death is only the beginning.” Most of the ride takes place in the dark & there are very cool fire effects. I really like this coaster. Have you seen the Men In Black movies? Want to shoot aliens & save the world? You can do that here! 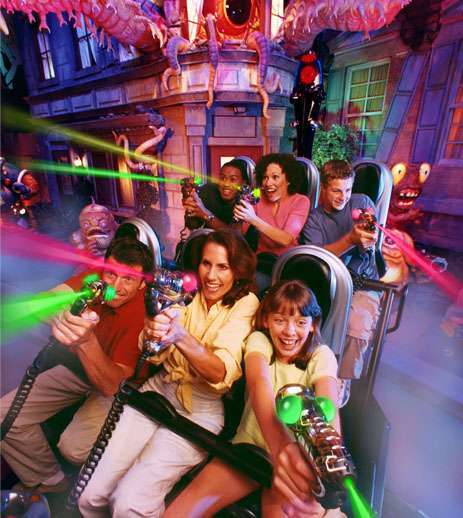 The Men In Black Alien Attack attraction is so fun because you get to shoot aliens. The ride begins with a little target practice to get used to the laser guns. Then you get called into action to assist with the alien invasion. Keep your eyes open because they are very good at hiding. The ones that are farthest away or best disguised are worth the most points. And don’t push the red button until you’re told. But be the first (when you’re told) & you will get an extra 100,000 points!! 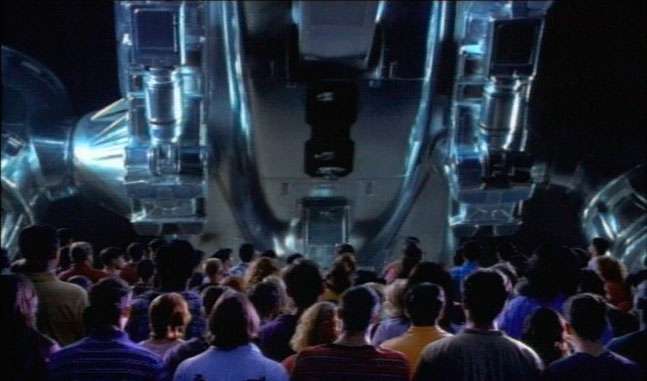 Hint: it’s near the end as you enter the big alien’s mouth. An exciting attraction that I like is Terminator 2: 3D! This is more like a show. You enter the theater being told that you will hear a presentation about Teledyne’s newest weapons. The fun begins after you are seated. The rebels take over & mayhem ensues. There are fog and fire effects. I also enjoy Transformers The Ride – 3D. 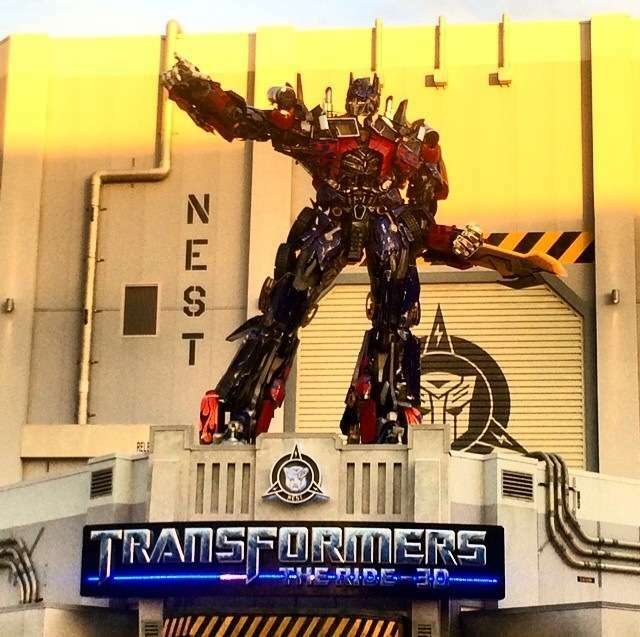 You will board your autobot & help save the world alongside Bumble Bee & Optimus Prime. It is a 3D ride which twists & turns & shakes so that you actually feel like you are riding the autobot. I really enjoy Universal Studios. It has a good mix of rides & shows. I can’t wait to see the new Harry Potter section once it opens!!! Thanks for reading!